There's no doubt about it. 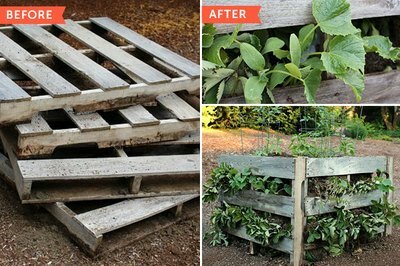 Upcycling is rad, and pallet gardening is all the rage right now. 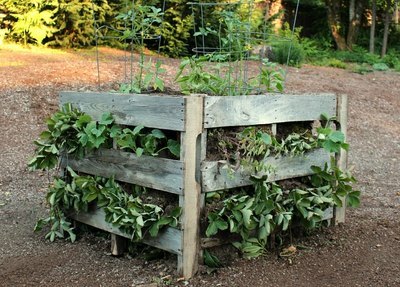 Pallet gardens are cheap, easy to build and can be placed anywhere in the garden. Leave them up year-round or take them down at the end of the season -- it's up to you. First, you'll need to find four sturdy pallets to build your wood pallet garden. Wood pallets can be purchased new for around $10 from local lumber companies, but if you want to save some serious cash, take a moment to check behind your favorite big-box store. Discarded wood pallets can typically be found near the dumpster and recycling bins for free. 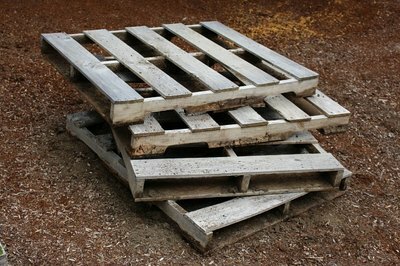 Wood pallets can vary in size with the most common size being 4 by 4 feet square. 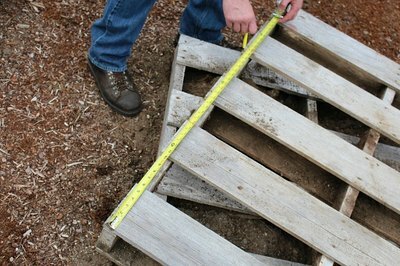 Try to find wood pallets as close in size as possible. If the wood pallets you've selected are too big for your area, you can reduce the height of your pallet garden by simply sawing off the last one or two slats for a more manageable size. To achieve a more uniform look, make sure all your pallets are the same width and length before piecing them all together. 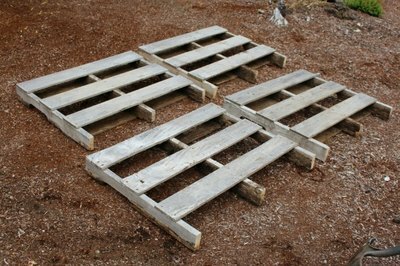 Once your pallets are been cut to the desired size, stand them up in the shape of a square. 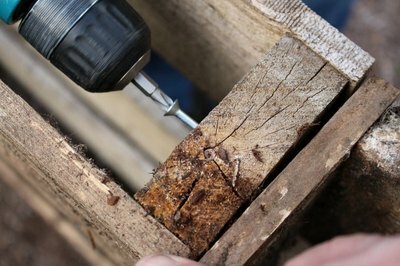 Using galvanized wood screws, screw the ends of the pallets together at the top, center and bottom of the pallet edge. Rock your pallet garden back and forth a little bit to make sure it's nice and sturdy. Now you're ready to fill this bad boy with plants and soil. 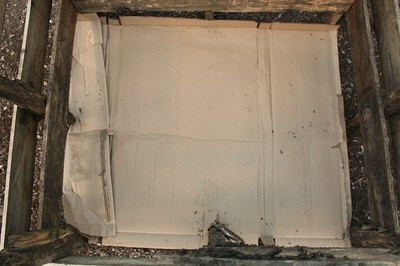 To get started, lay down a layer of cardboard to kill any existing weeds or grasses. This little preventive measure can greatly reduce the number of weeds in your raised pallet garden in the months to come. 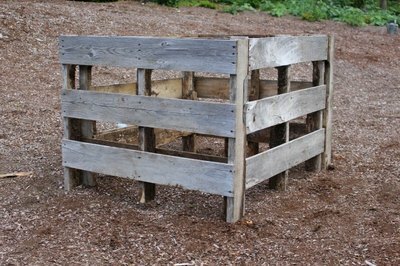 Next, fill the bottom of your raised pallet bed with garden soil up to the first set of wooden slats. To maximize your growing area, insert two to three plants per pallet opening all the way around your pallets until you reach the top of the raised garden bed. Once the sides are planted, chose a few more plants for the center of your pallet. Tomatoes, zucchini plants or even pumpkins are all good choices as they tend to expand in both height and width as they grow.